This project is in progress and we’re currently looking for artists! If you would like to be involved please read the RFP and submit a proposal. 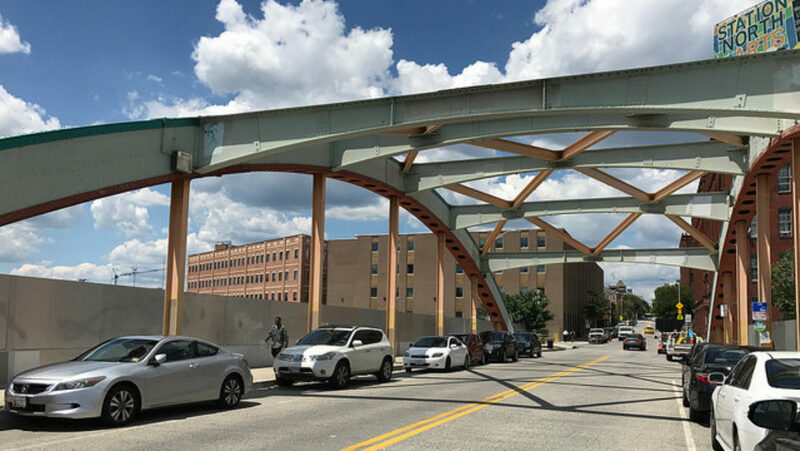 Bridge will work towards a wide-scale community push for active greenery and green spaces, many of which have been supported by HCPI Grant funding, such as Federal Street Park, Hidden Harvest, and Wonderground. We aim to find the balance between manageable, resilient plant life, and beautiful, richly colored, inspiring plantings. Consideration will be given to the frequency of the planter beds in accordance with residents’ opinions, as voiced at a future community visioning session. In-keeping with the strong artistic sensibilities of Greenmount West, a home to artists, art institutions, and makerspaces within the Station North Arts & Entertainment District, we will utilize the skill sets and experience of Station North Tool Library and Open Works to create durable, yet beautifully designed planter boxes with attached solar lighting. We will also seek to find creative ways to brand the boxes, as a way to express gratitude to the HCPI members whom made the project possible, to the community organizations that contributed to the design and production of the project’s elements. Benches: We aim to take advantage of NGWCA’s existing relationship with Victor Stanley, the outdoor furniture manufacturer based in Dunkirk, MD, to install benches on either side of the road, by the bus stops. In doing so we hope to improve the experience of public transport users and inbound students of Baltimore Design School. It is also hoped that the benches can serve as resting point for older and physically limited members of our community, while also becoming a meeting and relaxation point from which to enjoy the floral planting beds and mural artwork. Again, this fits with the expressed desire to enhance the perception as a welcoming gateway to a pleasant and desirable neighborhood. Mural: By inviting the opinion of residents and welcoming the expertise of our vibrant arts community, we will design a mural that meets the key stipulations of being colorful and fun, while also being maintainable, should incidents of graffiti occur. We plan to seek a local artist to design a mural that can be painted in collaboration with community members. Ideally, we would like to include BDS students in order to increase local pride and nurture a healthy sense of communal protectiveness. It would be wonderful if the students could point out the fruits of their labor to friends and family!